Michelle Carter received a lot of press recently for her stunning gold medal victory in the shot put at the Olympics in Rio de Janeiro. I love that Carter is highlighting that beauty can be found in all body types, regardless of size. I commend her on her quest to impact young women, as well as her athletic prowess. However, there is one sticking point in her messaging. "And it’s something I think a lot of girls and women shy away from because it’s not looked at as something a woman would want to do or a woman should do.” She believes that things are improving, though. “I think now, it’s like, ‘You know what? We’re girls and we can throw heavy balls and be in the dirt and we look good while we’re doing it.’ I think it’s bringing more attention to the sport and girls are realizing, Hey, I can do this and it’s O.K. to do this as a girl..."
Yes, awesome, show girls that throwing a shot put can be a totally valid way of recreating and competing. But why do you have to "look good doing it?" Carter rightfully puts emphasis on expanding the scope of female experience, but wrongfully continues to tell a narrative in which women must look a certain way to assert their femininity. I have nothing against Carter or any woman wanting to doll herself up, wear nice clothing, use make-up, etc. However, I want it to be okay for a young girl to throw the shot put and wear whatever the hell she wants. Or wear camouflage board shorts and host a tea party. Or wear a non-pink Star Wars shirt and play with pirate Legos. Whatever. She knows how to set up a tent, boil water, and bandage a blister. Plus, she is very easy on the eyes. That may very well be true. It's okay for her to be beautiful and awesome at backpacking. It's okay for this guy to be attracted to her for both reasons. However, I feel frustrated that Backpacker Magazine felt the need to publicly sexualize their most-prominent female author/editor. 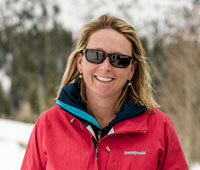 To their credit, they have done plenty to honor her merits as an outdoorswoman over the long course of her career. Why couldn't they leave it at that? Can't that be enough? Must every burly woman be weighed against a standard of traditional beauty? They don't seem to feel the need to give airtime to the physical beauty of her male counterparts. We have such a narrow definition of what it means to be feminine. Like homo sapiens of all genders, women have harbored a special connection to the natural world for thousands of years. I would argue that to be human is to be outdoorsy. I certainly know people who would not classify themselves as such, but I really think it’s been taught out of them. We are undeniably drawn to beautiful, natural things: the beach, the sound of moving water, the sight of the brilliant night sky (for those of us privileged enough to have access to it any more). There are tons of studies that show that being near nature is good for us (here's a good synthesis from National Geographic). Being outdoorsy shouldn’t just be accepted alongside feminism; it should be celebrated as part and parcel of it. I outlined some of these thoughts in an earlier blog post on the power of narrative. Perhaps that picture is too simplistic. What is also pervasive is men being invited into outdoor culture, while women must work hardscrabble to get there, questioning whether they are allowed to join the club, defying stereotypes ("tomboy"), thinly veiled put-downs ("you throw like a girl"), and social condemning in matters of the heart ("when you act like one of the guys, they don't think of you like that"). 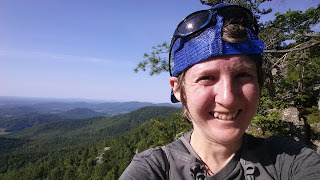 Those are all true to my personal experience and are only scratching the surface of a long list of barriers I have faced in wanting to be an athlete and an outdoorswoman. If I wasn't so bull-headed, nor so overwhelmingly passionate about moving my body and spending time in nature, I would have turned away from those pursuits long ago due to social pressure. We need to make room for women to just be exactly who they are. Echegaray, Luis Miguel. 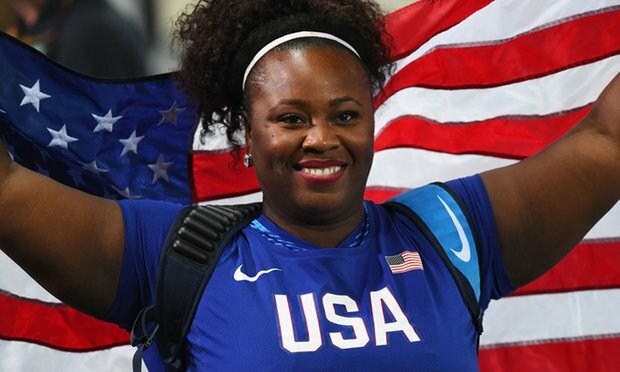 "Michelle Carter Wins USA's First Ever Women's Shot Put Gold." The Guardian. Guardian News and Media, 12 Aug. 2016. Web. The Good Men Project. Goodmenproject.com, 2016. Web. 09 Sept. 2016. <https://goodmenproject.com/>. "Help A Hiker Win A Trip with Our Gear Chick - Backpacker." Backpacker Magazine. Cruz Bay Publishing, Inc., 2010. Web. 09 Sept. 2016. "Meet the Gear Testers: Kristin Hostetter - Backpacker." Backpacker Magazine. Cruz Bay Publishing, Inc., 2012. Web. 09 Sept. 2016. Pilon, Mary. "You Throw, Girl: An Olympic Shot-Putter’s Feminist Mission." The New Yorker. N.p., 11 Aug. 2016. Web. 09 Sept. 2016. Skinner, Delacey. "Modern Love: All Twisted Up by Gender Bending." The New York Times. The New York Times, 22 Apr. 2016. Web. 09 Sept. 2016. Williams, Florence. "This Is Your Brain on Nature." National Geographic. N.p., Jan. 2016. Web. 09 Sept. 2016.